Add a pocket-sized Sith Lord to your collection! Die-cast metal action figure of Darth Vader. Features over 20 points of articulation, 6 interchangeable hands, and Vader's red lightsaber. The Dark Lord finds your lack of this awesome figure in your collection disturbing. The 5-inch tall die-cast metal Star Wars Darth Vader Hybrid Metal Figuration Action Figure features an action body with over 20 points of articulation, 6 interchangeable hands, and Vader's red lightsaber. 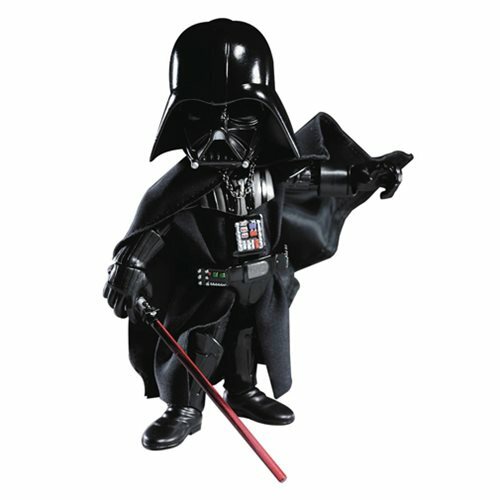 This pocket-sized Sith Lord is cast from a hybrid metal and comes with a handy base for display. Ages 15 and up.